Christina M. Steiner, Mag. 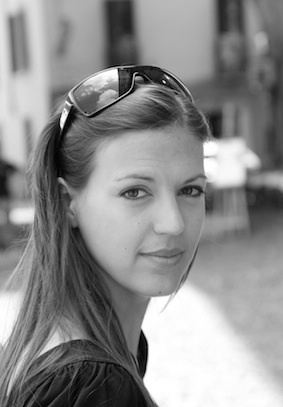 Dr.
Christina Steiner graduated from the University of Graz, Austria, in 2004 with a Magister in psychology. She received her Dr.rer.nat in 2012 with a thesis on ‚Concept mapping and competence-based knowledge spaces: Synergies for generating, validating, and applying knowledge representations’. Since 2004 she has been working at the Cognitive Science Section in several European projects on technology-enhanced learning (iClass, ELeGI, GRAPPLE, ImREAL, LEA’s BOX) and game-based learning (80Days, RAGE), and on digital libraries and digital preservation (CULTURA). The focus of her research is on the evaluation of learning and research environments, on self-regulated learning, on competence representation and structuring, as well as on psycho-pedagogical frameworks for adaptation in technology-enhanced and game-based learning. Further research interests include psychological aspects of user-interface design and human-computer interaction. As a member of the ISO committee PC288 and its WG1 she has been involved in the development of an international standard for educational organization management systems. Nussbaumer, A., Steiner, C., McCarthy, N., Dwane, S., Neville, K., O’Riordan, S., & Albert, D. (2015). An approach for training decision making competences in a multi-modal online environment. Proceedings of the 23rd International Conference on Computers in Education, 30 November – 4 December 2015, Hangzhou, China. (pp. 97-99). Steiner, C., Nussbaumer, A., & Albert, D. (2015). A psychological framework modelling decision making in emergencies. In E. Pimenidis & M. Odeh (Eds. ), ECIME 2015 – Proceedings of the 9th European Conference on IS Management and Evaluation, 21-22 September 2015, Bristol, UK. (pp. 206-214). Reading, UK: Academic Conferences and Publishing International. Nussbaumer, A., Steiner, C. M., & Albert, D. (2014). A psychological framework for the S-HELP decision support system. International Workshop Mega Earthquakes and Tsunamis in Subduction Zones: Forecasting Approaches and Implications for Hazard Assessment, 6-8 October 2014, Rhodos, Greece. (pp. 52-53). Nussbaumer, A., Steiner, C. M., Hillemann, E., & Albert, D. (2014). Towards an evaluation service for adaptive learning systems. In C.-C. Liu, H. Ogata, S. C. Kong, & A. Kashihara (Eds. ), Proceedings of the 22nd International Conference on Computers in Education (ICCE 2014), 30 November – 4 December 2014, Nara, Japan. (pp. 138-140). Japan: Asia-Pacific Society for Computers in Education. Dimitrova, V., Steiner, C. M., Despotakis, D., Brna, P., Ascolese, A., Pannese, L., & Albert, D. (2013). Crowdsourcing for evaluating a simulated learning environment for interpersonal communication and cultural awareness. Workshop on Culturally-Aware Technology Enhanced Learning (CulTEL 2013), EC-TEL 2013, 17 September 2013, Paphos, Cyprus. Steiner, C. M., Hillemann, E., Nussbaumer, A., Albert, D., Sweetnam, M. S., Hampson, C., & Conlan, O. (2013). The CULTURA evaluation model: An approach responding to the evaluation needs of an innovative research environment. Proceedings of the First Workshop on Exploration, Navigation and Retrieval of Information in Cultural Heritage (ENRICH 2013), 1 August 2013, Dublin, Ireland. (pp. 43-46). Steiner, C., Sweetnam, M., Hillemann, E.-C., Hampson, C., Albert, D., & Conlan, O. (2013). Evaluating the CULTURA system for cultural heritage collections: What do researchers of tomorrow think? Poster presented at the International Conference on Design and Digital Heritage (NODEM2013), 1-3 December 2013, Stockholm, Sweden. Steiner, C. M., Wesiak, G., Moore, A., Dagger, D., Conlan, O., & Albert, D. (2013). Does culture matter in TEL? A case study on cultural variations in learning. Workshop on Culturally-Aware Technology Enhanced Learning (CulTEL 2013), EC-TEL 2013, 17 September 2013, Paphos, Cyprus. Berthold, M., Steiner, C. M., & Albert, D. (2012). Use of metacognitive strategies by Irish medical students (p. Poster). Graz: 10. Tagung der Österreichischen Gesellschaft für Psychologie, Graz, Austria. Steiner, C. M., Berthold, M., & Albert, D. (2012). Evaluating the benefit of a learning technology on self-regulated learning – A mixed method approach. Workshop: Self-Regulated Learning in Educational Technologies (SRL@ET) at 11th Intelligent Tutoring Systems (ITS) 2012, 14-18 June 2012, Chaina, Greece. Albert, D., Nussbaumer, A., & Steiner, C. M. (2010). Towards generic visualisation tools and techniques for adaptive E-learning. In S. L. Wong et al. (Eds. ), Proceedings of the 18th International Conference on Computers in Education, 29 November – 3 December 2010, Putrajaya, Malaysia. (pp. 61-65). Asia-Pacific Society for Computers in Education. Mattheiss, E., Kickmeier-Rust, M. D., Steiner, C. M., & Albert, D. (2010). Approaches to detect discouraged learners: Assessment of motivation in educational computer games. In S. Hambach (Ed. ), ELearning Baltics 2010: Proceedings of the 3rd International ELBa Science Conference in Rostock, Germany, July 1-2, 2010, 1-2 July 2010, Rostock, Germany. (pp. 111-120). Stuttgart, Germany: Fraunhofer. Albert, D., Nussbaumer, A., Steiner, C. M., Hendrix, M., & Cristea, A. (2009). Design and development of an authoring tool for pedagogical relationship types between concepts. In S. C. Kong et al. (Eds. ), Proceedings of the 17th International Conference on Computer in Education (ICCE 2009), 30 November – 4 December 2009, Hong Kong. (pp. 194-196). Hong Kong: Asia-Pacific Society for Computers in Education. Albert, D., & Steiner, C. (2009). Fostering Metacognition on Skill-Acquisition in Technology-Enhanced Learning. Talk at the 13th Biennial Conference of the European Association for Research on Learning and Instrcution, EARLI 2009, 25-29 August 2009. Amsterdam, the Netherlands. Steiner, C. M., Kickmeier-Rust, M. D., Mattheiss, E., & Albert, D. (2009). Undercover: Non-invasive, adaptive interventions in educational games. Proceedings of the 1st International Open Workshop on Intelligent Personalization and Adaptation in Digital Educational Games, 14 October 2009, Graz, Austria. (pp. 55-65). Albert, D., Nussbaumer, A., & Steiner, C. (2008). Using visual guidance and feedback based on competence structures for personalising E-learning experience. Proceedings of the 16th International Conference on Computers in Education (ICCE 2008), 27-31 October 2008, Taipei, Taiwan. (pp. 3-10). Albert, D., & Steiner, C. (2008). Competence-based Knowledge Space Theory and self-regulated learning: Mission impossible or happy marriage? Talk at the International Congress of Psychology, 21-25 July 2008, Berlin, Germany. Nussbaumer, A., Steiner, C., & Albert, D. (2008). Visualisation tools for supporting self-regulated learning through exploiting competence structures. In K. Tochtermann & H. Maurer (Eds. ), Proceedings of the International Conference on Knowledge Management (i-KNOW 2008), 3-5 September 2008, Graz, Austria. (pp. 288-296). Steiner, C. M., & Albert, D. (2008). Investigating application validity of concept maps. In A. J. Cañas, P. Reiska, M. K. Åhlberg & J. D. Novak (Eds. ), Concept Mapping – Connecting Educators: Proceedings of the 3rd International Conference on Concept Mapping, 22-25 September 2008, Tallinn, Estonia; Helsinki, Finland. (pp. 469-476). Albert, D., & Steiner, C. (2007). Concept maps as tools for knowledge assessment. Presentation in H. Toyota (Chair), Education and assessment. Symposium to be conducted at the Japanese Congress of Educational Psychology, 15-17 September 2007, Saitama, Japan. Albert, D., & Steiner, C. (2007). Concept maps for representing and assessing domain knowledge. Talk at “Psychology of meaning”. Symposium conducted at the 65th Annual ICP Conference, 11-14 August 2007, San Diego, California. Albert, D., Steiner, C., & Repitsch, C. (2007). Semantic structures, their relationship, and relevance. Talk at the 10th European Congress of Psychology (ECP), 3-6 July 2007, Prague, Czech Republic. Albert, D., Steiner, C., & Heller, J. (2006). Content validity of concept maps. Talk at the Workshop on Cognitive Aspects of Ontology Design and Development (CODE 2006), Second Biennial Conference on Cognitive Science, 9-13 June 2006, St. Petersburg, Russia. Kickmeier-Rust, M. D., Albert, D., & Steiner, C. (2006). A cognitive approach for modeling lifelong competence development. In M. E. Auer (Ed. ), Proceedings of the 9th International Conference on Interactive Computer Aided Learning (ICL2006) – Lifelong and Blendend Learning, 27-29 September 2006, Villach, Austria. Kassel, Germany: Kassel University Press. Kickmeier-Rust, M. D., Albert, D., & Steiner, C. (2006). Lifelong competence development: On the advantages of formal competence-performance modeling. Talk at the TENCompetence Workshop, Learning Networks for Lifelong Competence Development, 30-31 March 30-31 2006, Sofia, Bulgaria. Albert, D., & Steiner, C. (2005). Representing domain knowledge by concept maps: How to validate them? In T. Okamoto, D. Albert, T. Honda & F. W. Hesse (Eds. ), 2nd Joint Workshop of Cognition and Learning through Media-Communication for Advanced e-Learning (JWCL), 28-30 September 2005, Tokyo, Japan, (pp. 169-174). Albert, D., & Steiner, C. M. (2004). Interrelation between concept maps and competence structures. Talk at the Annual Convention of ICP, 3-6 August 2004, Jinan, China.